Geneva- The Iraqi forces are forcibly holding hundreds of families of Islamic State members in camps across Iraq, says the Euro-Mediterranean Human Rights Monitor. Without committing a single crime, these families are unjustly forced to live in camps under inhuman conditions - which is a form of collective punishment, the Euro-Med further warns. Once the areas under ISIS control have been restored by the Iraqi government and Popular Mobilization Forces, these families were forcibly displaced from over 20 cities, threatened with death, and then held in camps under difficult and harsh conditions, a Euro-Med team has reported. Tikrit camp currently includes more than 100 families, making up 400 civilians - most of them are women and children. According to the Iraqi government, the camp was established for “rehabilitation of the families and children of ISIS members”. However, this purpose does not reflect reality; these people are living under poor conditions in forced detention centers. Families complain about the scarcity of water, medicine, food, health care, in addition to the continuous power cuts, lack of education and the spread of many diseases including Typhoid, Scabies and others. A joint group form the Popular Mobilization Forces and Iraqi soldiers have destroyed the houses of these families and forcibly transferred them to this camp as well as other camps. Their only crime was being relatives of ISIS members. Hundreds of families were displaced after receiving threat letters distributed in areas where they lived, ordering them to leave otherwise they would be killed within 72 hours. These displacements have sometimes reflected sectarian tendencies to cause demographic change in some Sunni areas, especially in Jurf Al-Sakhr town and Diyala Governorate. Amiriyah District in Anbar city contains most of these camps, where families are prevented from leaving to other areas. This prevention is said to have been out of fear for their lives from threats of vengeance by other clans. The reality is, they are being held in camps that lack the minimum humanitarian needs and are being treated as criminals, including children, in a flagrant violation of the International Humanitarian Law. The recent operation carried out by the Iraqi forces against ISIS in Mosul has been accompanied by violations against innocent people. For instance, families were detained, denied freedom of movement, deprived of communication with relatives whether by phone or by having family visits, and have not been tried before the Iraqi courts. According to the Euro-Med team, the al-Salameh camp in the city of Mosul alone received 1,800 families, most of them had ISIS relatives. The camp barely contains water, electricity or other basic services. In September, the Iraqi forces evacuated about 358 families from “Hamm Al-A’leel” camp to a private camp in “Teklif” area. 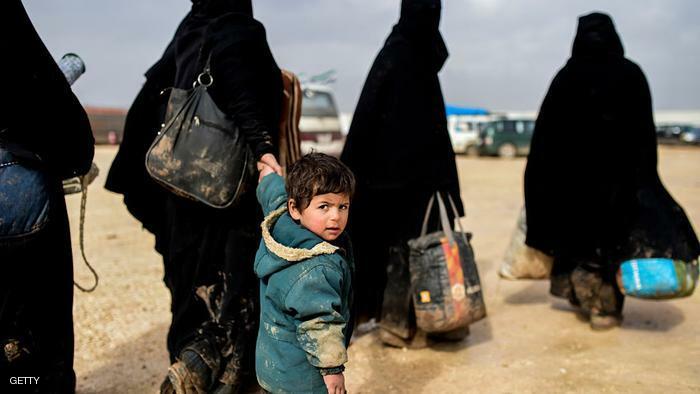 The Euro-Mediterranean Human Rights Monitor calls on the Iraqi authorities to protect families of ISIS members, and to allow communication between detained individuals and their families without further restricting their right to freedom of movement. Also, effective and true measures should be taken to rehabilitate the individuals influenced by ISIS’ ideology.